Karelia is not just a border, but also a cross-border region. Not everyone who lives in the Republic of Karelia knows or remembers that there is another Karelia on the other side of the border. And not one, but two. South Karelia and North Karelia — the names of Finnish border Unions of communes. And the Karelians live there, too. «Common blood» is not the only thing that connects many of them with the Russian Republic of Karelia, but also common history and traditions, or at least, attempts to preserve them. More than 400 thousand people were evacuated to Finland during the Second World War, when part of the country withdrew to the Soviet Union. Their descendants still live in Finnish Karelia. This story is about one Karelian family from the Finnish town of Ilomantsi. Its life, past and present are connected with both Karelias. Their relatives fought on different sides of the front, but the couple has been together for almost half a century. They not only keep in touch with Russian relatives and friends, but also preserve and develop Karelian traditions in their city. In the difficult 1990s, they collected humanitarian aid in Russia and transported it to Russian Karelia. Now they work in a charity center and help those who have a hard time living in Finnish Karelia. It is believed that «ordinary people» should be friends and visit each other regardless of the borders and difficulties in the relations between politicians. Correspondent of «7x7» Gleb Yarovoy came to Ilomantsi and spent one day with the Korhonen family. «Go to Ilomantsi, to Ritva and Otto Korhonen. You won’t find a better history,» Ilya Solomeshch, an associate professor of Petrozavodsk University and a specialist in Finland, didn’t hesitate after I told him I was looking for heroes for the «People at the Border» project. Solomeshch has always a couple of memorable stories, serious or anecdotal, for any reason. Sometimes it seems that he knows everything about everyone. 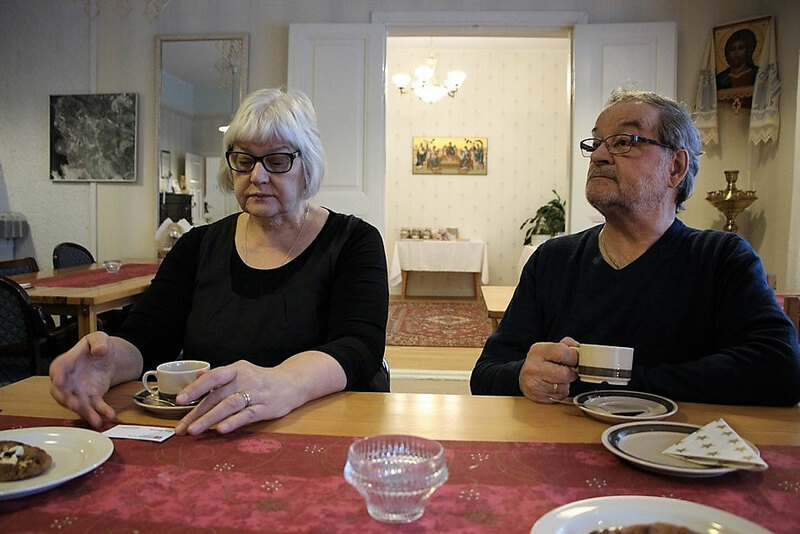 In the Finnish outback, not far from the border with Russia, lives a middle-aged family — Ritva and Otto Korhonen. This couple has been helping the needy for three decades now: it manages the «Ilyala» charity center, gives jobs to the unemployed and food to the hungry, and until recently transported humanitarian aid to the Russian Karelia. «I met them several years ago here in Petrozavodsk. Quite quickly realized that we live «in one tonality». And now it seems that we know each other if not for a life time, then for a significant part of it. In the story of this family, time, place, human destinies converge, uniqueness and typicality are weaved in one big tangle. But it is beyond words, you need to feel it,» Solomeshch begins the story. He is a word painter, that’s for sure. Finland. An hour’s journey from Joensuu, the sister city of Petrozavodsk and the «cheese Mecca» of Karelian shop-tourism for the last three years — along the winding road No. 74, and you are in Ilomantsi. «Ilomantsi is a paradise,» — sang the Finnish participant of the national selection for Eurovision Juice Leskinen in 1981. «There is everything you need in Ilomantsi,» local residents agree with a singer. Shops, a bank, a large swimming pool, popular among tourists from Russian Sortavala, a big library, museums, restaurants, cultural centers and even a winery, which is called the «whiskey factory». And at the same time Ilomantsi is gradually dying out — over the last 30 years the population has decreased from 14 to 4 thousand people. After the closure of the University of Applied Sciences (ammattikorkeakoulu, the closest Russian analogue — technical school), young people leave to study in Joensuu and other cities and do not hurry to go back, the population is aging and naturally decreasing. «Retiree’s land,» add the locals. The commune of Ilomantsi is the easternmost territory both of Finland, and of the entire «Western world.» According to the famous American scientist Samuel Huntington, a «civilizational frontier» passes 20 km east of the Ilomantsi village. It separates the Orthodox civilization from the Western civilization. According to Huntington, future wars will occur on the borders of civilizations. However, Ilomantsi already faced the war. Here in August 1944, the Continuation War, or the Soviet-Finnish war of 1941–1944, ended in a somewhat paradoxical way. The Finns, who lost the war and were preparing for surrender, won a «defensive victory» under Ilomantsi, one of the last in the war. And the Soviet army suffered the last defeat. The victory in a bloody operation is still considered to be an important event in Finland, which has made it possible to stop the advance of Soviet troops deep into the country. Memory of this is stored in numerous memorial complexes on the territory of the commune, in the summer schoolchildren and students make visits, and the search engines periodically discover the remains of the soldiers of both armies. Local authorities understand, however, that a specific military historical theme is not of interest to any tourist, and they are trying to promote Ilomantsi as the center of «Karelian hospitality» and untouched nature. Official tourist guides inform about the Karelian cultural traditions — the «rune-singing» village of Parppeinvaara and the Parppeinpirtti restaurant, the Orthodox church of the Prophet Elijah in Ilomantsi and the ancient Orthodox chapel of the late 19th century in Hattuvaara. Artificially preserved «Karelianism» neighbors with «Karelianism» natural. 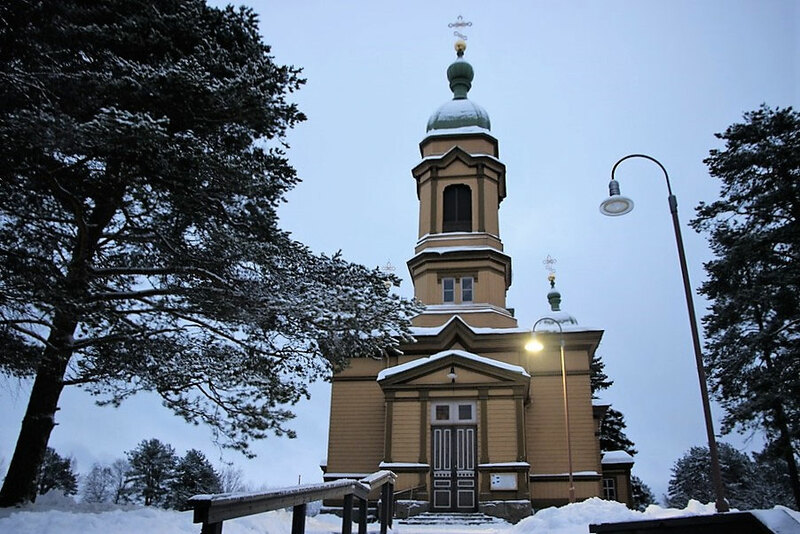 Ilomantsi is still the largest Orthodox community in Finland, and maybe throughout Western Europe, a quarter of the population here is Orthodoxy. Previously, the Orthodox had a majority, the policy of conversion of Karelians to Lutheranism, conducted by Sweden in the XVII century, did not bring significant success. One of the proofs of «survivability» of the Orthodox tradition in Ilomantsi is the charity center «Ilyala» (named after the prophet Elijah, as well as the local Orthodox Church), the main purpose of the trip. Previously, the charity center (the exact translation — «Center for Neighbor Assistance») «Ilyala» was located next to the Orthodox Church, in a smaller parish house, but recently moved here. The big house belongs to the center only on a leasehold basis, but there is also a separate workshop for traditional Karelian folk crafts and handicrafts, and a kitchen to make «Karyalan Piiraka» (Karelian pies, on the other side of the border, in the Republic of Karelia are simply called «kalittoa»), and a large dining room where you can host several dozen guests at once, and even a guest room with two beds that can be rented for overnight. Otto, husband of Ritva, maintains technical order in the house. At his disposal there is a large shed-workshop with different tools and equipment. Both «Ilyala», and its owners-coordinators have a very interesting story, worth traveling nearly a thousand kilometers. «The center was launched in 1990 as a public organization. If you recall the story, at that time Finland experienced a serious economic crisis [caused in large part by the fact that the Soviet Union, which was largely oriented towards Finnish industry, stopped buying Finnish products]. Private enterprises and banks were closed in Ilomantsi, many people were left without work. We, Orthodox parishioners, asked ourselves: how can we help these people, our neighbors. And the idea of the Center for Neighbor Assistance came by itself. The Orthodox Church owned an empty parish house, which became a center. I remember that women immediately started to come there, left without work and money, they had to feed their children. They asked us: «How are we supposed to live?». And we tried to help them — both materially and morally,» the owners tell. The center receives the rest in the form of donations and earns itself. At the workshop, women learn traditional folk crafts — weave mats, make dolls, sew and embroider, make different crafts. Education is free for all (the only exception — the annual «puppet camp» or a master class on making traditional Karelian Puppet), the resulting products are sold to tourists and well-wishers. Judging by the «commodity stocks» manufacturing process is adjusted, so that potential buyers — tervetuloa («welcome») and tervetuloa uudelleen («come again!»). The center renders various services, first of all — related to the organization of events («gatherings», as they are called by locals). Big companies, sometimes up to a hundred people, come every day before Christmas. The center rents a large room, cooks, and sets the table, and sometimes provides a «cultural program». It turns out cheaper than in a restaurant, and much more heartfelt. Moreover, everyone knows: money will go to good cause. Visitors write about it in the guest book. «Ilyala» is open to all: people of different nationalities work here — Finns, Russians, Estonians, Thais. Permanent employees have a five-day six-hour schedule, and during this time they are fed three times. The salary is paid to three people — Ritva, cook (Russian) and seamstress (Estonian). But, unlike her employees, Ritva (always with Otto) comes here on weekends. Many people come to the center only to get attention and feel their importance: one woman wipes dust from furniture and places chairs in places on Thursdays. «Several times in its history the center experienced a very difficult financial situation. There was practically no money for wages. But each time the money was eventually found and the center continued to work. God helps us,» Ritva is sure. «It’s been an incomprehensible, unknown land for many years,» Otto mused. «People did not want to come here, because the border is so close,» adds Ritva. The history of Ritva’s family is associated with both Finnish Karelia, Ilomantsi, and Soviet Karelia, the Suojärvi district, which withdrew to the USSR after the Second World War. Otto’s mother, Anastasia, left Vidlitsa (now a village in the Olonets district of the Republic of Karelia) «on the last train», that is, at the end of the war, when everyone was proposed to be evacuated. During the occupation of Vidlitsa, she met a Finnish soldier, an ambulance driver, fell in love, and they moved to Ilomantsi. And after that, more than forty years, until old age, she preferred not to tell anyone about this. «That’s not the point. During the war, women suffered: men at the front, all farming on them, as well as children and work. I wanted support, and only Finnish soldiers were around. So despite the difficulties, a common language was found,» Ritva smiles. «Karelian muzhik,» Otto dabs his chest with a finger smiling, somehow destroying the opposition «Russian/Finn». He speaks Russian a little, like Ritva. But with the Finnish accent it sounds pretty funny: in Finnish there are almost no voiced consonants, so it turns out not «muzhik» but «musyk». After returning from Stockholm in the 1980s, Ritva worked in the Center for the Preservation of Karelian Culture, participated in the national amateur performance. Vision of «foreign» Karelia, the one where Finnish folklorist Elias Lönnrot collected material for the famous epic «Kalevala», according to Ritva, was quite romantic. But the Korhonens succeeded to visit the other side of the border, Soviet Karelia, only in 1988. To preserve the «Karelian world» (Soviet, and then Russian) in a material and symbolic sense, was easier from afar, from Finnish Karelia. Ritva continued to popularize Karelian culture. Passion for handcraft — creation of Karelian dolls — has gradually developed into a major hobby. 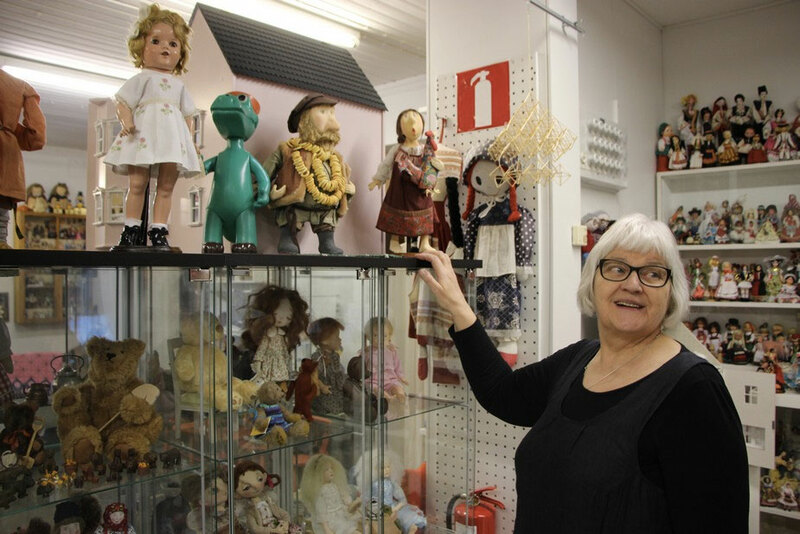 Now Ritva has an entire Doll Museum in Ilomantsi, one of the largest in Finland, with both Karelian handmade dolls, and homemade and factory dolls from all over the world. Many families and organizations needed financial assistance. Since the end of the 1980s, several families from Ilomantsi were guarding, financially «cheering» families on Valaam: they sent money, clothes for children. «Humanitarian aid was carried throughout Karelia. We collected whole cars of food, clothes and other things. We started, of course, with those who were easier to help — with relatives living in Vidlice. But in the end it became a drop in the sea. In Olonets, we had a «coordinator» — a local woman who worked in the school. She received applications for humanitarian aid, not only from Olonets and Ladoga, but also from all over Karelia. I still do not understand how she managed to collect all the information, probably through school channels. She received applications and help too. We knew exactly who, where, what and how many. Collected here by trucks and carried to orphanages, hospitals, schools. This went on for more than ten years,» Otto recalls. Then the problems with «custom clearance» began. Of course, there were no necessary documents for many things, and it was becoming increasingly difficult to bring them to Russia, although the orders continued. After the next unsuccessful attempt, we had to refuse from tactics of mass gathering. Some time it was possible to transmit small parties of the humanitarian aid through acquaintances, but now it doesn’t work either. The only place where parcels are sent, mostly knitted woolen things, which Ilomantsi old ladies habitually bring to «Ilyala», is the Petrozavodsk parish of the Savior-Transfiguration Church of Kizhi Island, the Church of the Holy and Life-giving Spirit. «Happiness is not money at all. I’m a rich person, because I have many friends all over the world, I have a wonderful family, and I do what I love,» Ritva said. It’s a day off in «Ilyala», but visitors appear. A friend of Ritva Sirpa and her husband, Jukka, came from Kuopio (a town 200 km from Ilomantsi). «I’ve known the Korhonens for a long time. In the mid-1990s, I moved from Lutheranism to Orthodoxy, and Ritva and Otto were my kummi, godparents,» Sirpa says. When asked whether many people know about «Ilyala» and about what Ritva and Otto are doing here, Sirpa answers surprisingly uncertainly. «But this place thought to be so important for Ilomantsi,» I’m perplexed. «Oh, are you asking about Ilomantsi? Well, of course, everyone here knows «Ilyala», both in Ilomantsi itself and in the district. This is a very important place, you are right. Perhaps, the most important and most famous among the locals. They help the old, the indigent, the hungry. I thought you asked about Joensuu. There they must know, but I can not say for sure,» Sirpa says. Ritva and Otto are returning from the kitchen with a new portion of «Karjalan Piiraka» and a fruit-drink, and conversation somehow goes on itself to the discussion of the current relations between Russia and Finland, Finns and Russians. «People, of course, are watching the events in Russia. There is much talk in the media about the conflict in Ukraine and the role of Russia in this conflict. But we understand that there is a lot of propaganda in this, and we do not know what is really going on. I believe it to be internal matter of Russia and Ukraine, just as the problems of Finland are an internal affair of Finland, and we ourselves must solve our problems,» Ritva argues. «Wars are made up by politicians, and people suffer. And there’s nothing new in it. My father spent five years in the war, and when he returned and we asked him to tell us about it, he always replied that there was nothing good in the war, and considered the topic closed. I now fully support him. For us it’s important to just go to a neighboring country, get acquainted with customs, communicate with friends, eat delicious food,» concludes the hostess of «Ilyala».